It was in 1962, when Judy Henske was living in Los Angeles, that the Queen of the Beatniks first came to the attention of Elektra Records’ founder Jac Holzman. He had just setup A&R and marketing operation in LA and was on looking for new artists to add to Elektra Records’ roster. The first night he saw Judy Henske sing, he knew that he had to sign her. It wasn’t just her powerful voice, it was also her presence onstage and bawdy humour. Jac Holzman was sure that this was a winning combination, and set about signing Judy Henske. Eventually, it cost Jac Holzman $2,000 to sign Judy Henske to Elektra Records. His initial offer was $1,000, which Jac Holzman was hoped would secure the signature of Judy Henske. However, he was so keen to sign Judy Henske that he was willing to double his initial offer, to $2,000. That was enough to secure the signature of Judy Henske. Not long after this, Judy Henske recorded her eponymous debut album in front of studio audience. 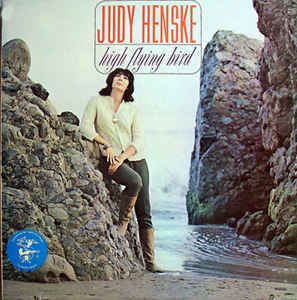 Judy Henske was released on Elektra Records in 1962, with High Flying Bird following in 1963. By the time High Flying Bird was released in 1963, twenty-seven year old Judy Henske had come a long way since embarking upon a solo carer four years earlier. The Judy Henske story began in Chippewa Falls, Wisconsin where Judith A. Henske was born on December ’20th’ 1936. She attended Notre Dame Grade School and then Notre Dame-McDonell Memorial High School, before heading to Rosary College, River Forest, Illinois. After that, Judy Henske enrolled at the University of Wisconsin, in Madison, and when she graduated moved to Ohio. Judy Henske began working in the office of Oberlin College, Ohio. That was where Judy Henske’s first starting making music. Her boyfriend left Judy and moved to India. However, he left behind his banjo, and soon, Judy Henske had taught herself to play it. This was the start of a musical voyage of discovery. Soon, she was playing Dixieland jazz and murder ballads. Not long after this, Judy Henske relocated. This time, Judy Henske moved to Philadelphia, Pennsylvania, where she worked for a while as a cook in a Quaker co-operative. During this period, Judy was able to find herself and grow as a person. After that, Judy Henske was on the move again. In 1959, Judy Henske relocated to San Diego where she lived in a sloop in a yacht basin. Not long after her arrival in San Diego, Judy Henske started singing in the coffee houses in Pacific Beach and soon, in Los Angeles. That was where she first encountered comedian Lenny Bruce. The pair often worked together, during the time Judy Henske spent in San Diego. However, after spending the best part of two years in San Diego, Judy Henske was ready for a change of scenery. Judy Henske headed to New York, where she was asked to contribute four songs live, that would appear on a compilation. The Coffee House was released on the Dorian label in 1959, and marked the debut of Judy Henske. Soon, she was moving from East Coast to the West Coast. 1960 saw Judy Henske arrive in Los Angeles. She was a stranger in town, and the only person she knew of, was Herb Cohen who was one of the leading lights of Sunset Strip folk scene. For a new folk singer who had arrived in LA, Herb Cohen was a good man to know. On her first night in Los Angeles, Judy Henske went looking for Herb Cohen. She met him outside of Cosmo Alley, one of two coffee shops Herb Cohen owned. When he saw Judy clutching her banjo, he asked if she could play it? This lead to an impromptu audition and before he had hired Judy Henske and become her manager. She would receive $90 for playing at his other coffee shop, the Unicorn. At the Unicorn, Judy soon became the warmup act for Lenny Bruce. By then, she had acquired a strong stage presence, where in-between songs, Judy Henske’s bawdy humour entertained patrons. 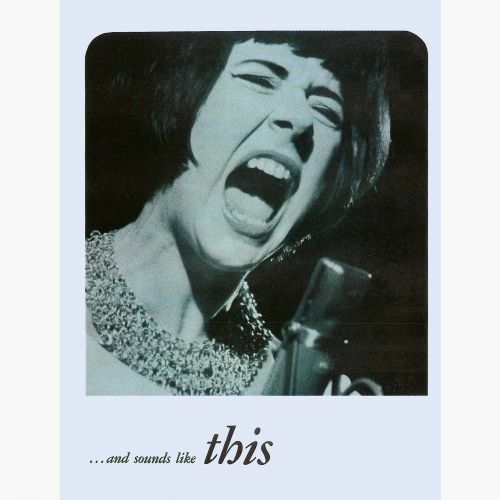 They were a tough crowd, but Judy Henske’s put downs and her incredible powerful voice that captivated the patrons at Herb Cohen’s coffee shops. Before long, Judy Henske had developed an act which was a combination humorous monologues and music, which made her a popular draw. Dave Guard and The Whiskeyhill Singers. So much so, that Herb Cohen decided to send Judy Henske to one of the biggest coffee shops in Oklahoma City. That was where she was spotted in early 1961 by Dave Guard, who previously, had been a member of the Kingston Trio. Dave Guard was about to form a new group The Whiskeyhill Singers and he asked Judy Henske to join his new folk group and sing the female lead vocal. Before she could agree, Judy Henske had to ask her manager Herb Cohen. When he agreed, Judy Henske joined The Whiskeyhill Singers. Compared to her gigs at the Unicorn, and warming up for Lenny Bruce, The Whiskeyhill Singers were somewhat staid by comparison. Dave Guard brought to Judy Henske onboard The Whiskeyhill Singers to provide balance to the group. She was going to be yin to his yang, on their debut album. This was Dave Guard and The Whiskeyhill Singers which was released on Capitol in 1962. By then, the group had honed their own, unique sound and style. It was hailed as often innovative by critics. However, Dave Guard and the Whiskeyhill Singers failed to find an audience upon its release. Nether did the singles Ride On Railroad Bill nor Plane Wreck At Los Gatos when they were released in 1962. Despite this, The Whiskeyhill Singers began work on their sophomore album. Before that, The Whiskeyhill Singers were asked to provide some songs to the How The West Was Won soundtrack. Originally, the producers of this MGM wanted to the Kingston Trio to feature on the soundtrack. 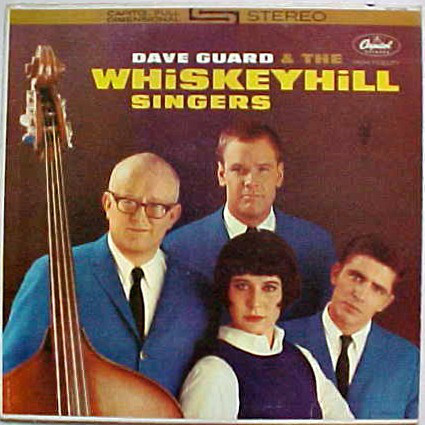 However, when they heard that Dave Guard had a new group, The Whiskeyhill Singers they felt their sound was much more suited to the soundtrack. 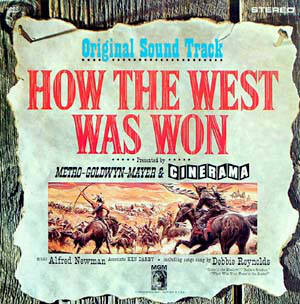 This resulted in the The Whiskeyhill Singer being asked to feature on the How the West Was Won soundtrack. For Judy Henske, and the rest of The Whiskeyhill Singers this was the break they were looking for. The Whiskeyhill Singers began work on their sophomore album, which was completed later in 1962. However, The Whiskeyhill Singers 2nd Album was never released by Capitol Records. Nor long after that, Dave Guard called time on The Whiskeyhill Singers. It had been a short-lived, unfortunately, unsuccessful project that lasted just over six months. However, they had managed to record a lot of music during this period. 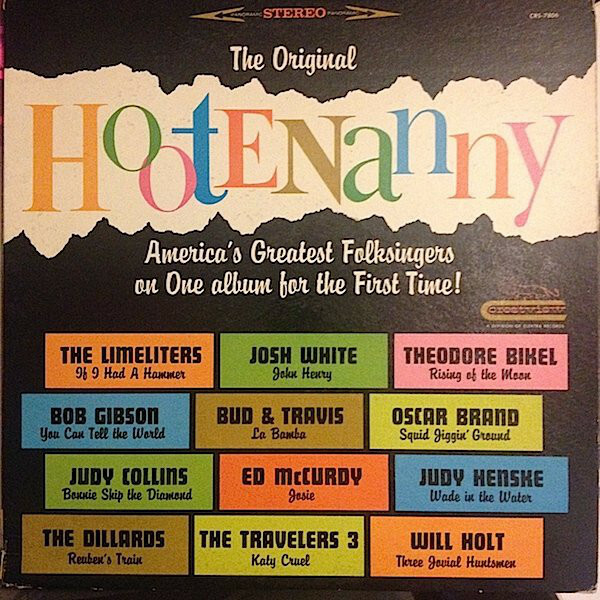 After the demise of The Whiskeyhill Singers, Judy Henske decided to return to Los Angeles, where the folk boom was continuing. She was able to pickup where she left off, singing at the Unicorn and at the Troubadour which was well on its way to coming one of LA’s top music venues. It was where many of the biggest names in music hung out, including some of the leading lights of the folk scene. As the folk boom continued, many within the music industry were keen to profit from the genre’s popularity. Many music industry veterans were aware that folk music, like previous genres, was a bubble, that could burst at any minute. The trick was to make hay while the sun shined. This included compiling and releasing a slew of folk compilations. With Judy Henske’s star in the ascendancy, it was no surprise that she was asked to feature on a couple of these compilations. This included featuring on folk compilations like and Folk At The Troubadour. These compilations would introduce Judy Henske and the other artists to a much wider audience when they were eventually released. By then, twenty-six year old Judy Henske had made a big breakthrough. It was just another night when Judy Henske took to the stage at an LA club. She had honed her stagecraft and had onstage presence that was the envy of many less talented singers. Judy Henske made it look unleashes her incredible powerful voice. She brought meaning and emotion to lyrics, and seamlessly, switched between folk and blues. Then in-between songs, she embarked on a long, but carefully cultivated monologue. The patrons were won over by Judy Henske. So was Elektra Records’ founder Jac Holzman. He had just setup A&R and marketing operation in LA and was on looking for new artists to add to Elektra Records’ roster. That was why he was sitting in the club, as Judy Henske started to sing. Straight away, he knew that he had to sign her. Her combination of music, monologues and bawdy humour Jac Holzman was sure, was a winning combination. Jac Holzman set about signing Judy Henske, and adding her to Elektra Records’ burgeoning roster. Eventually, it cost Jac Holzman $2,000 to sign Judy Henske to Elektra Records. His initial offer was $1,000 which Jac Holzman was hoping would secure Judy Henske’s signature. When she hesitated, Jac Holzman reached over and scored out $1,000 and replaced it with $2,000. That was enough to secure the signature of Judy Henske, who joined Elektra Records’ roster of folk singers. Not long after this, Judy Henske recorded her eponymous debut album in front of studio audience. This was what Judy Henske had been working towards for three years. When Judy Henske joined Elektra Records, she joined Phil Ochs and Fred Neil, Judy Collins and soon, Tim Buckley. Jac Holzman was well on his way to securing the signatures of the creme de la creme of young American folk singers. Not long after signing to Elektra Records, Judy Henske began preparing to record her debut album. Jac Holzman had decided to record the album in front of a large studio, with an invited audience. At first, Jac Holzman thought of recording just Judy Henske and her guitar. However, he wanted a bigger sound, so decided to hire an orchestra. Jac Holzman secured the services of Onzy Matthews, an experienced LA based bandleader. Meanwhile, guitarist John Forsha would trombonist John ‘Streamline” Ewing would lead the orchestra. They would accompany Judy Henske on eleven tracks. For her debut album, Judy Henske chose two of her own songs, Hooka Tooka and Lily Langtree. Judy Henske arranged Low Down Alligator, Ballad Of Little Romy, Wade In The Water, I Know You Rider, Love Henry, Every Night When The Sun Goes In and wrote new lyrics to Salvation Army Song. They were joined by JC Johnston’s Empty Bed Blues and James Shelton’s Lilac Wine. These songs would be recorded in LA, and become Judy Henske’s eponymous debut album. 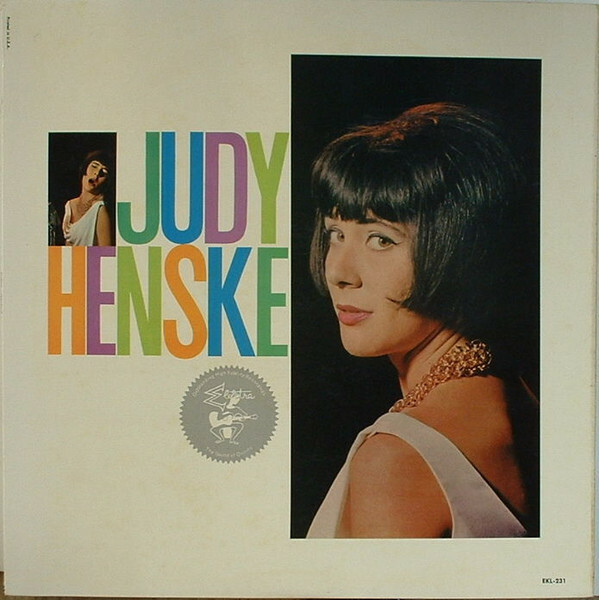 Once Judy Henske had recorded her much-anticipated eponymous debut album, it was released on Elektra Records in 1962. Critics on hearing Judy Henske, realised she was a very special and versatile singer, and the album received praise and plaudits. 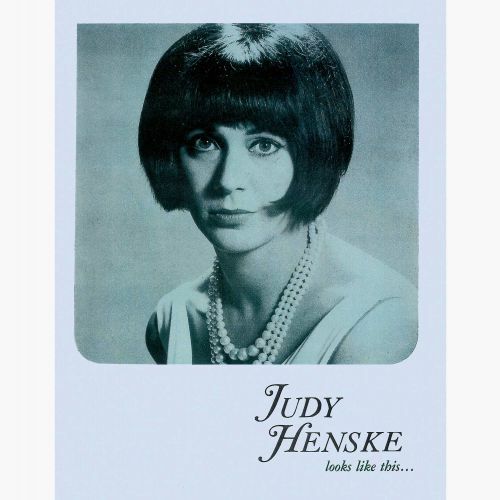 While Judy Henske was well received by critics, who were appreciative of the album and a very special young singer who was making her debut, the album failed to find an audience outside of the folk community. While this was disappointing, Judy Henske and Elektra Records’ founder Jac Holzman were playing the long game. By the time it came time for Judy Henske to record her sophomore album High Flying Bird, she was a popular draw in Los Angeles and New York. It looked as if her star was in the ascendancy. This was the perfect time for Jac Holzman to send Judy Henske back into the studio. When it came to recording High Flying Bird, Judy Henske penned Oh, You Engineer with Shel Silverstein. She also added new lyrics to a number of traditional songs, including Buckeye Jim, Columbus Stockade, Lonely Train, Duncan and Brady, Good Old Wagon and Charlotte Town. Judy Henske also arranged Blues Chase Up A Rabbit. The other songs included Billy Ed Wheeler’s High Flying Bird which was joined by Till The Real Thing Comes Along, Hoagy Carmichael’s Baltimore Oriole, Arthur Herzog Jr and Billie Holliday’s God Bless The Child and Bart Howard and John Peter Windsor’s You Are Not My First Love. These thirteen songs became Judy Henske’s sophomore album High Flying Bird. This time around, Jac Holzman who oversaw production, decided to take a different approach. There was no orchestra on Flying Bird, just a small band that featured a rhythm section of drummer Earl Palmer, bassist Bill Montgomery and guitarist Jack Marshall. They were augmented by two familiar faces, trombonist John ‘Streamline’ Ewing and Jack Forsha who would play the twelve string guitar. This quintet accompanied Judy Henske who switched between banjo and guitar on the thirteen tracks. They were recorded in small studio in Los Angeles and became High Flying Bird. When critics heard High Flying Bird, they were greeted by a very different side of Judy Henske. Gone is the orchestra that accompanied Judy Henske on her eponymous debut album. High Flying Bird featured a much pared back sound, where the arrangements play second fiddle to Judy Henske as she moves between tear jerking ballads and rousing, uptempo tracks where she kicks loose. High Flying Bird was a potent and heady brew, and one that won over critics. Just like Judy Henske, High Flying Bird proved popular within the folk community upon its release in 1963. The problem was, that Judy Henske’s music wasn’t finding a wider audience beyond the folk community. When Jac Holzman ran the numbers, he realised that High Flying Bird hadn’t sold enough copies to warrant offering Judy Henske another contract. For Judy Henske, it was the end of the for her at Elektra Records. After just two album, Judy Henske and High Flying Bird, one of the rising stars of the American folk scene found herself without a label. For Judy Henske her recording career was already at a crossroads. It was ironic that she had released to accomplished albums, Judy Henske and High Flying Bird, which later, was credited as one of the albums that led to the folk rock genre. However, in 1963, nobody realised that Judy Henske had provided what was essentially the blueprint to folk rock. It was only much later, when music historians were tracing folk rock’s roots that they realised the importance and relevance of Judy Henske’s sophomore album High Flying Bird. After leaving Elektra Records, Judy Henske released Little Bit of Sunshine…Little Bit of Rain on Mercury Records in 1965. Just like her two Elektra Records albums, Little Bit of Sunshine…Little Bit of Rain failed to find a wider audience. Sadly, it was a similar case with The Death Defying Judy Henske, which was released on Reprise in 1966. Three years later, in 1969, and Judy Henske and her husband Jerry Yester, who was also a musician, released their cult classic Farewell Aldebaran in 1969. There was no followup, as the couple were about to embark upon a new musical venture. By 1971, Judy Henske and Jerry Yester had founded Rosebud with Craig Doerge, John Seiter, and David Vaught. Rosebud released their eponymous debut album in 1971. However, following Rosebud’s release, the band played a couple of live shows, and split up. Judy Henske and Jerry Yester divorced, and Judy went on to marry and Craig Doerge in 1973. Not long after this, Judy Henske retired from performing and recording. Judy Henske was only thirty-even when she announced that she was retiring from music. She continued to write songs, and eventually, after over twenty years away from music, Judy Henske was ready to make a comeback in the nineties. Her comeback went so well, that Judy Henske released two studio albums 1999s Loose In the World and 2004s She Sang California. By then, Judy Henske’s music was finding a wider audience receiving the recognition it deserved. Especially her first two albums Judy Henske and High Flying Bird. They’re a reminder on Judy Henske at the peak of her powers, when it looked like she was destined to become one of the biggest names in folk music. Sadly, that wasn’t the case, and Judy Henske whose now eighty, and has been blind for the past ten years, didn’t enjoy the success her talent warranted. A reminder of Judy Henske’s talent can be found on the two albums she released Elektra Records Judy Henske and High Flying Bird. ← THE LIFE AND TIMES OF MUSICAL MAVERICK HOLGER CZUKAY.